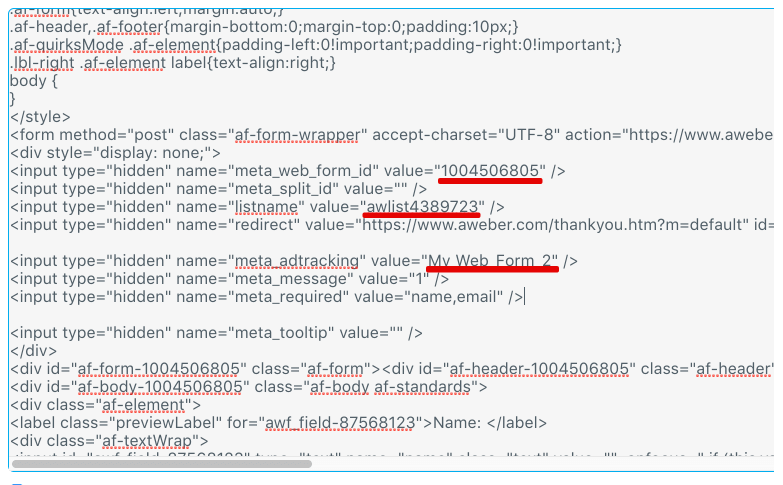 Adding an opt in form to your website is a great way to start collecting your visitors’ emails and improve your newsletter or autoresponder campaign. By doing this you take advantage of a valuable opportunity to turn one-time visitors into regulars and customers. Costs 19$ per 1 month. 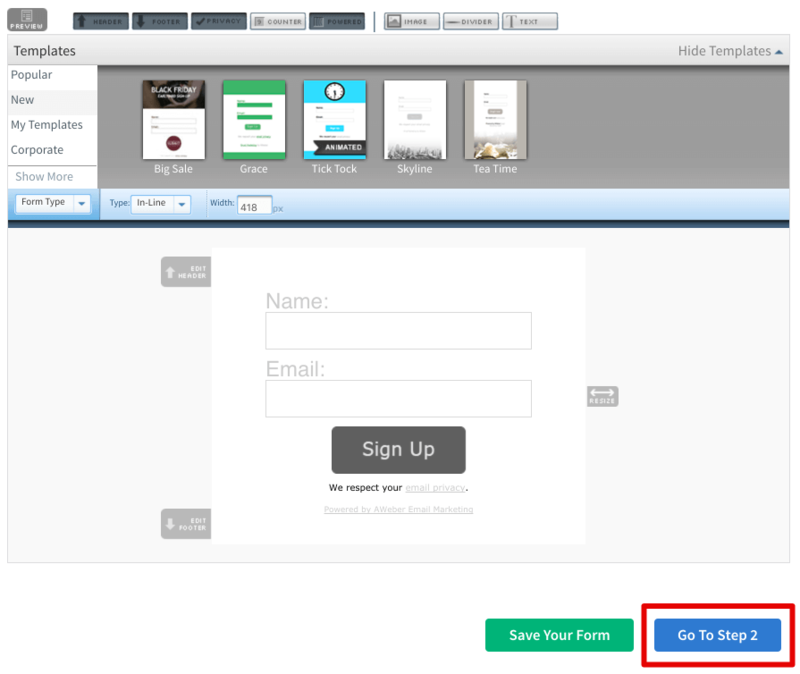 Go to your Aweber account->Sign Up Forms and click Create A Sign Up Form. 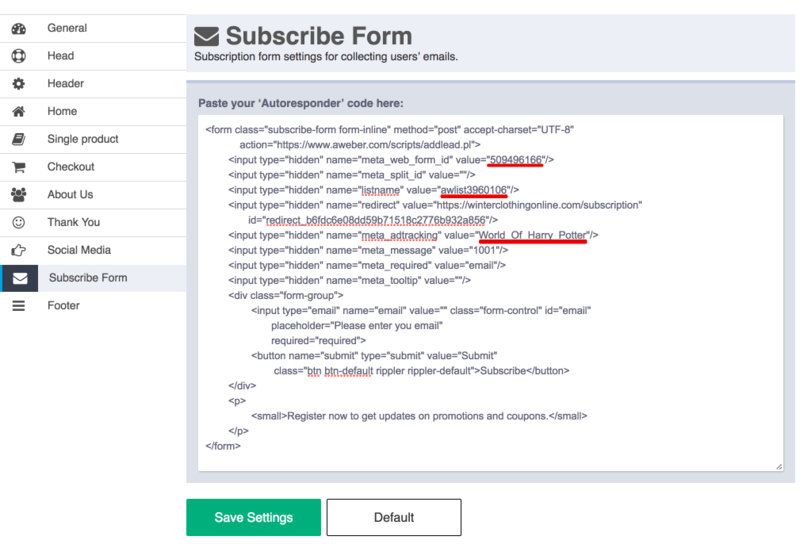 The theme has an already designed subscription form, that’s why you can skip this step and go to the second one. 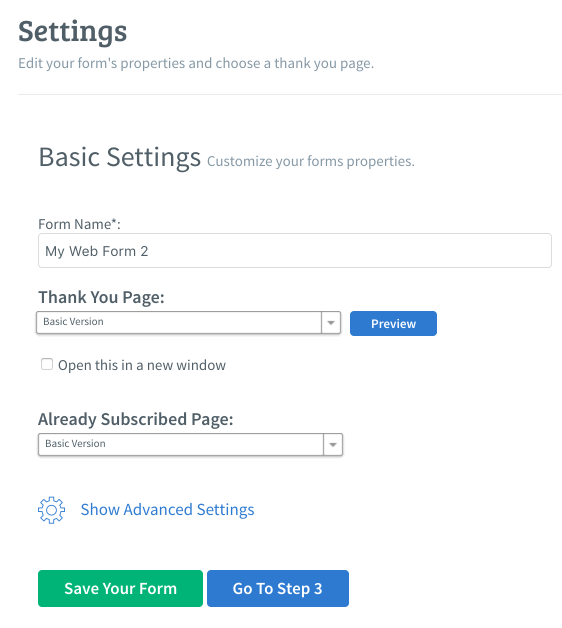 Enter your form name, select Basic Version settings for Thank You Page and Already Subscribed Page. Click Save Your Form and proceed to the next step. 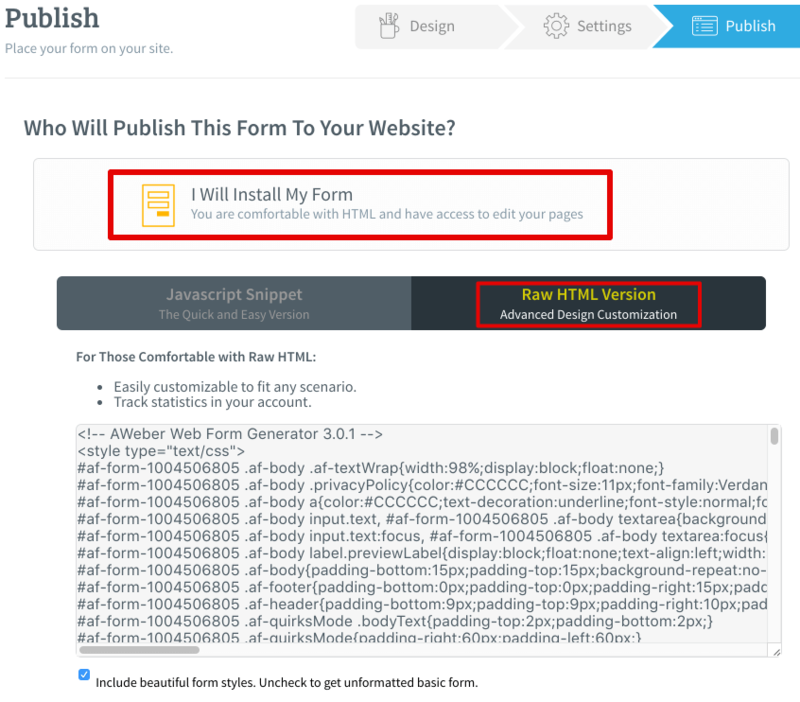 Click I will Install My Form and select Raw HTML Version tab. Find three necessary parameters in this code. Copy and paste them in the code that you have in Customization->Subscribe Form. Click Save Settings and you are done! You also may use MailChimp service for collecting your subscribers emails: it allows you to have up to 2,000 subscribers and 12,000 emails per month for free. Please fill the gaps and choose how you’ll be informed about subscribers, then please click “Save”. Once you created your List please click SignUp Forms -> Embedded Forms. Or you may use any text you want. Click “Save Settings” and you are done!